Haikou, Hainan: In an unusual twist, financial experts have called upon China’s monetary authorities to let the Renminbi float to “ease risks” (China Daily, October 31, 2018). Sounds contradictory? At this juncture, at the height of Trump’s trade war against China, the Forex market has become weaponized. The policy of “Floating the Yuan” has contributed to the RMB’s dramatic decline. Various market related concepts (including hikes in US interest rates and China’s trade surplus with the US) are put forth (out of context) by “authoritative” Western economists in support of an “RMB Float”, which in the last few months has led to a slide of the Yuan to its lowest level since the 2008 economic crisis (see graph below). “Allowing the market to decide” is a nonsensical concept. It certainly does not apply to currency markets, which are the object of manipulation and speculative trade. In making this narrow economic assessment, the geopolitics and the trade wars, are casually ignored. The “experts” quoted in the China Daily report are for the most part tied to Western and Japanese institutions. Their assessment conforms to that of the IMF. 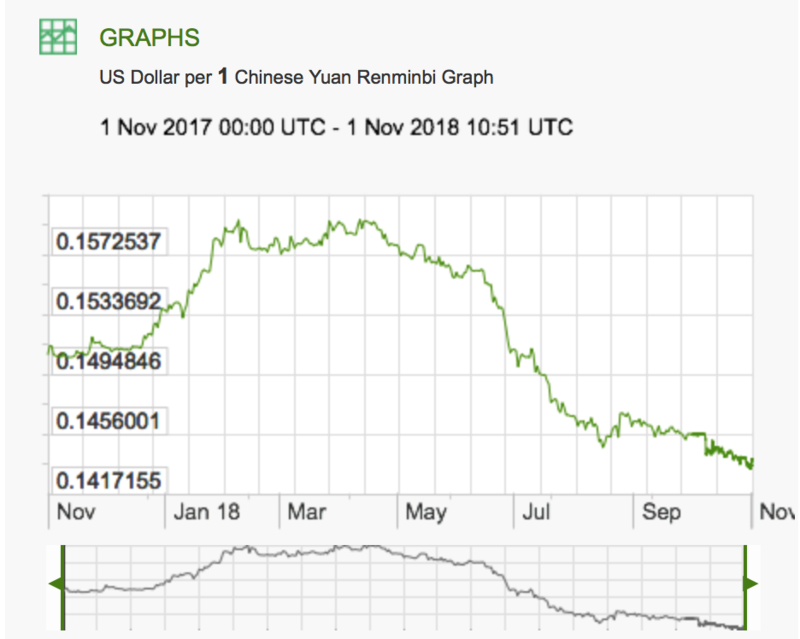 Visibly, the recorded RMB decline of 11.1% against the US dollar since April 2018 coincides with the US-led trade war. (see graph below). It has occurred despite the fact that both Russia and China have been dumping US Treasuries. Who is advising Beijing with regard to the RMB and forex market? According to Zhou Xiaochuan, governor of the People’s Bank of China (PBC) a so-called managed floating RMB exchange based on market supply and demand criteria has been applied. This structure essentially follows the guidelines set by the IMF. Remember the 1997 Asian Crisis? The currencies of South Korea, Thailand and Indonesia were subjected to large scale speculative operations including naked short-selling by major banks and financial institutions leading ultimately to a dramatic collapse of the ROK Won, the Thai Baht and the Rupiah. South Korea, Thailand and Indonesia were forcefully pressured by the US Treasury and the IMF to lift all protective measures and let their currency slide to the detriment of their national economies. It is worth noting that in contrast to the fate of these three countries, Malaysia under the helm of Prime Minister Mahathir Mohamad successfully put together a carefully designed counter-speculative program to protect the Malaysian Ringgit. Today’s speculative instruments are far more sophisticated than those prevailing during the 1997 Asian Crisis. We are dealing with financial warfare and the central role of the forex market in disrupting national economies. In recent developments, the Russian Ruble and the Turkish Lira, have been pushed down to exceedingly low levels. Amid trade tensions and veiled US military threats against China, IMF guidelines on currency management should be disregarded. 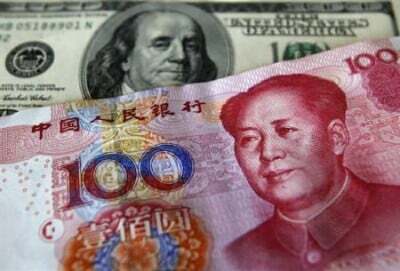 The “Renminbi Float” should be analyzed and reassessed in relation to potential US sponsored speculative operations in the Forex market. 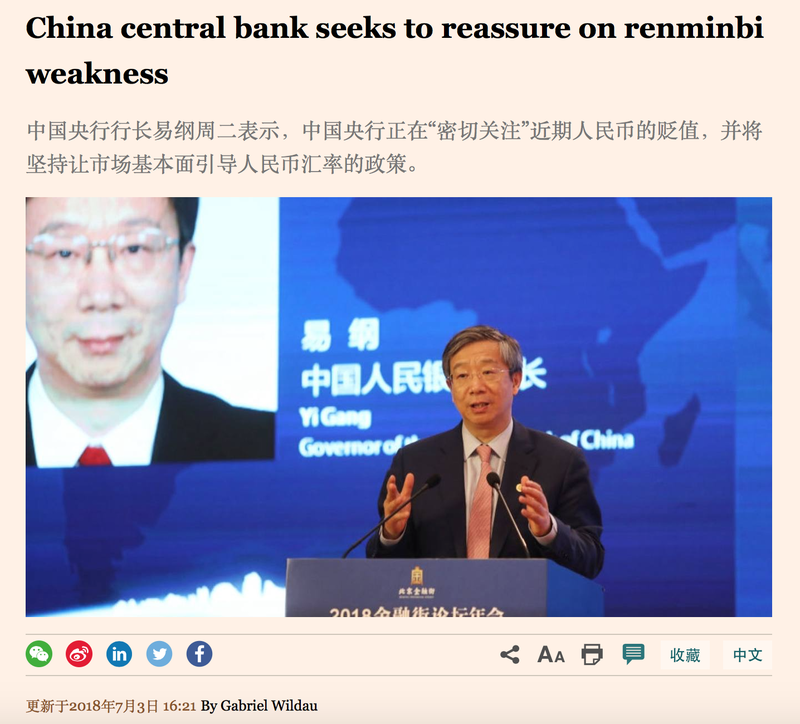 It is essential that The People’s Bank of China (PBC) –under the guidance of China’s leadership– adopt a carefully designed counter-speculative framework not only to protect but also to reinforce the Yuan in relation to the US dollar.